About LangDi - Wuxi LangDi Measurement Control Technolgy Co.,Ltd. One can go further with to get closer The pillars of China ", but the quality of victory"
When he was young, he participated in the Korean War. He is a member of China internal combustion engine industry association at the beginning of the establishment of the first to join the, he can say is the elder statesman of Huasheng is a hand founded Huasheng soul. He is Junfa yu. Yu Junfa in the army to learn all electronic technology, very smart, very study, hard. Three years later, transferred to Jiangnan test instrument factory, in a state-run factory from stem from the most basic level, less than two years was promoted to director of the workshop, due to the outstanding performance, factory leadership was appreciated, was sent to carry out professional training, step by step from the technical chief, chief sales, and finally to long-term served as technical director. Thirty years of age, Yu Junfa has become state Jiangnan test instrument factory's technical manager, Yu Junfa a lifetime has been keen to engage in technology. In 1984, team design lead Yu Junfa made China first fuel consumption meter for measuring the rotational speed, engine test table, genset testing station. And at the time of the largest power generating units of Weifang diesel engine plant put into use. Langdi Testing shall keep pace with the international automation testing. Integrity, professionalism, innovation and surpassing. International quality standards, advanced and reliable testing, high-efficient and timely service. He participated in the Korean War when he was young. He was the earliest member of China Internal Combustion Engine Industry Association, and could be said to be the founding father of Huasheng as he was the key contributor that established Huasheng. When he was in the army, Yu Junfa learned electronic technology. He was very smart and he studied assiduously. Three years later, he was transferred to the state-run Jiangnan Testing Instrument Factory and started as grass roots. Within 2 years, he was promoted as workshop director. Because of his outstanding performance, he was appreciated by the management and sent to get professional training. From there, he promoted from technical section chief, sales section chief to long-term technical superintendent. consumption and rotation speed measurement instrument, engine test stand and generator test stand which were put into use in the biggest generator sets factory of China at that time — Weifang Diesel Engine Works. Always in line with the entrepreneurial belief of “a pillar for China, a success of quality”, in 1990 Yu Junfa finally established Wuxi Huasheng Testing Instrument Factory and committed to the development and manufacturing of automobile generator testing equipment. From 1998, the company starts to engage in developing and manufacturing power test technical equipment in the internal combustion engine industry, shipbuilding and military industries, specializing in manufacturing test instruments and equipment for automobile generator, automobile starter, AC/DC motor for electric automobile, high power diesel generator and alternating current generator/set, and high-power load box for testing alternating current generator/set and so on, as well as customizing power test system for customers to meet all special requirements. 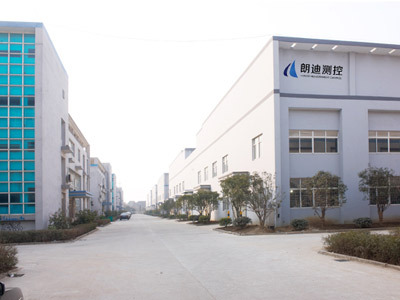 From 2008, the company keeps pace with the times and has officially changed its name to Wuxi Langdi Measurement Control Technology Co., Ltd. Currently its products have covered more than one thousands enterprises of all sizes, research institutions and testing centers. The company is the designated automotive generator and starter testing company by National Measurement Institutes Wuxi Measurement Test Center and it has an ISO-certified quality management system that covers the whole process of design, manufacturing and service. In addition, the company expects to increase input in researching and developing inverter module of digital generator and generator controller dedicated for electric automobile, as well as in the testing of motor for new energy automobiles, and makes great achievements. Langdi has become a well-known brand in the industry, and its technology and products are in the lead of the industry.